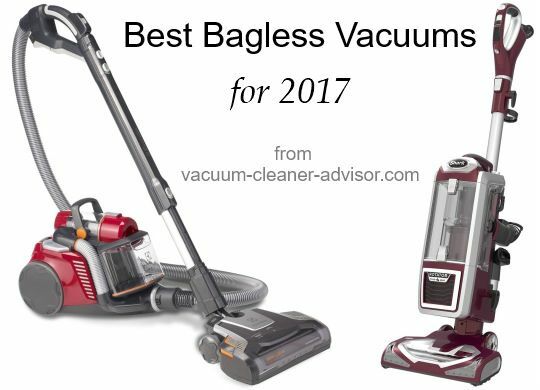 Our picks for the best bagless vacuums in 2017. We have undertaken detailed analysis of each machine and there are links to our reviews in the descriptions. These vacuums have all received very good ratings from consumers (generally from many sources) and they all excel at cleaning. Many also come with great features and have respectably long warranties. Prices range from about 60USD to 500+USD (prices are estimates only). 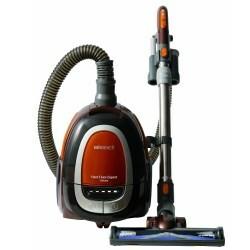 We have provided lists of the best bagless upright vacuums and the best bagless canister vacuums. Please consider that these vacuums have many different features, characteristics and costs, so determining which vacuum is best for you is more a function of your particular needs than the vacuum ranking. 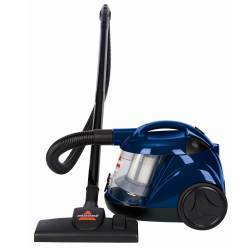 Our best bagless vacuum for 2017 is the Shark Rotator NV752 TruePet. Consumers love this machine and consistently give it very high ratings. It is also versatile as it operates as an upright, a canister and even a portable unit (the lift-away feature). The NV752 is powerful, has HEPA filtration, a sealed system and rinsable filters. It is brilliantly easy to use and everything clicks together and comes apart effortlessly. It is also quieter than most of the other powerful bagless vacuums we have tested. The NV752 carries a rather lengthy 7-year warranty. 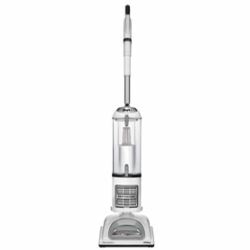 In addition, the Shark NV752 is our top pick for best upright vacuum AND the number two pick for our best pet hair vacuum. You will want to read our detailed review of this machine which also includes a lengthy video in which we run the machine through a host of tests and compare it to several other uprights. Check out customer reviews & pricing on Amazon. For additional information read our Shark Rotator NV752 review. The Shark rotator lift Away Speed with Duoclean is more compact and lightweight than the Shark NV752, AND it has 2 brushrolls. We were initially surprised by the dual brushroll approach, however after running the vacuum through its paces and testing its performance on carpet, tile flooring, and on pet hair, we were sold. Far from being a gimmick, the dual brushrolls (which Shark refers to as DuoClean Technology) really do help the vacuum pick up more dust and debris – especially on bare floors. The front brushroll is soft and it grabs debris both large and small feeding it to the main brushroll in the center of the nozzle. We found that this approach really helps when dealing with large debris that may get pushed around by another vacuum. Also, on bare floors the soft brushroll kind of “polishes” away dust on the flooring and extends cleaning to the very tip of the nozzle head. The NV801 also comes with many other great features such as HEPA filtration, Anti-Allergen Complete Seal technology, 4 tools, lifetime LED headlights, easy-to-remove brushrolls (great for maintenance), the popular lift away feature, and washable filters. In addition, the vacuum carries a lengthy 7-year warranty. Note that the NV801 and the NV803 are the same vacuum and come with the same tool set. Check out customer reviews and pricing on Amazon. You can also see our very comprehensive NV801/NV803 review. This machine is something of a beast. It is very powerful, kind of hefty and a bit of a handful. But it delivers, and as a result is our number 1 pick for best all-around pet vacuum cleaner. The Dyson Ball Animal 2 is characterised by colossal suction. The brushroll is powerful and you can actually feel it vibrate the floor. It has no problem pulling up pet hair on both bare surfaces and carpet. Consumer ratings to date are also very good. The Dyson also has something called “Whole Machine HEPA Filtration” which means it has a HEPA filter as well as a completely sealed system. These features have resulted in the Dyson Ball Animal 2 being certified asthma & allergy friendly by the Asthma and Allergy Foundation of America. The vacuum has a 35 foot power cord (quite long) and also a fairly long hose. It includes several tools as well as a unique tangle-free turbine tool which works well (2 counter rotating heads drastically reduce tangling). The vacuum is on the hefty side however, and it does require some level of effort to move it around. Note: Something to watch out for with the Dyson Ball Animal 2 is its mobility on long/deep carpet. Several owners report that the machine can be difficult to move on deep pile carpet. This is likely due, at least in part, to the active base plate which is designed to minimize the distance between the floor surface and the nozzle. See our comprehensive Dyson Ball Animal 2 review. The Dyson DC65 Animal is a great vacuum for large household vacuuming – although this machine is getting a bit harder to find with the newer Dyson Ball Animal 2 having been released. 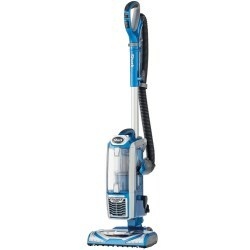 The DC65 is a very powerful machine with deep cleaning ability on carpet and solid performance on bare floors as well. It has a long cleaning reach of about 50 feet, rinsable filters, and comes with several useful tools. The brushbar has on/off controls and the machine just looks “cool” – Dyson has a penchant for making futuristic looking vacuums and the DC65 is no exception. 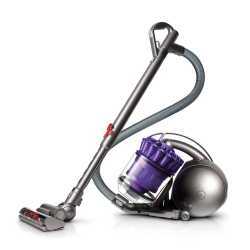 For additional information read our Dyson DC65 Animal review. 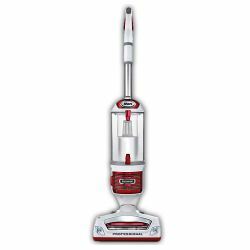 This vacuum is like a lightweight and more compact version of the Shark NV752. Also, like the NV752, the NV682 gets very good ratings from owners and we found almost 2000 consumer ratings averaging an extremely healthy 92 out of 100. In short, owners really like their Shark NV682. This vacuum only weighs 13.3 lbs so it is quite lightweight. It also has a 30 foot power cord, HEPA level filtration, a sealed system and it comes with several tools. It is designed with Shark’s ever popular “Lift Away” feature which allows you to carry the dust canister/motor assembly in one hand while using the hose/want/tools in the other hand. The NV682 is bagless and all filters are washable, keeping consumables to a minimum (and thus lowering operating costs). It is also not too loud and it has LED headlights that are designed to last the lifetime of the vacuum. The NV682 carries a 7 year warranty. A few things to watch out for are the smallish dust canister and the short hose. Check out pricing and reviews on Amazon. See our detailed Shark NV682 Review. This machine has been on the market for quite a few years and consumer ratings continue to be excellent. 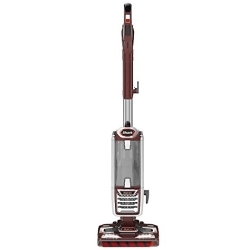 Like the NV752 it is a 3-in-1 vacuum with the ability to be an upright, a canister, and a portable unit. It has HEPA filtration, headlights that last the lifetime of the vacuum cleaner, and rinsable filters. It also performs well on both bare floors and carpet, and is effective on pet hair. In addition, it includes several tools that work well and the cleaning reach is respectable. The unit is not too noisy and, best of all, it is not particularly expensive. Some consumers feel that the vacuum is a little on the large side however, and a few others have reported that they wish the headlights were brighter. The vacuum has a 5-year warranty. For additional information read our Shark Navigator Lift Away Rotator review. Looking for the best vacuum cleaner? Try our NEW easy-to-use Vacuum Cleaner Finder tool and see a comprehensive list of vacuum cleaner ratings for all brands. Find the best bagless vacuum, the best cordless, the best Shark or Dyson. Sort by consumer ratings or filter by price. Vacuum Cleaner Finder does it all. Yet another Shark vacuum cleaner. There are literally thousands of owner ratings from many online sources for this machine and they are mostly very good. It’s hard to argue with that kind of success. 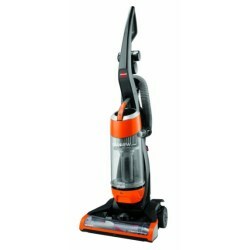 We first reviewed the NV356E in 2011 and it is still a popular vacuum today that continues to sell. This vacuum also has the Lift-Away feature (like the NV752, the NV801, the NV682 and the NV5010, and quite a few other Shark machines). In addition, it is fairly lightweight and has brushroll on/off controls making it suitable for both carpet and bare floors. A HEPA filter combined with a sealed system ensures that the air exiting the NV356E is properly cleaned (great for households with asthma or allergy sufferers), and the dust canister is large so it doesn’t have to be emptied frequently. The vacuum also comes with several tools (5) but the hose is a little short so the vacuum is sometimes pulled over when using the tools. It carries a 5 year warranty. See our Shark Navigator Lift Away Pro review. This machine gets very good ratings from consumers and is very inexpensive – a nice combination. The 1330 has good suction and is designed for both bare floors and carpet. It also works well on pet hair. The brushroll on this unit, while motorized, cannot be turned off, so folks with very delicate hard flooring may want to take note. The 1330 comes with a dusting brush, a crevice tool and a turbo brush and these work fairly well. The unit is also rather lightweight. However – there has to be a downside given the price – it has a “shortish” power cord and it does not come with HEPA filtration. The Bissell 1330 carries a 2 year warranty. Check out reviews and pricing on Amazon. See more in our Bissell Cleanview 1330 review. Shark (or SharkNinja as the company is now called) is well known for their bagless uprights and even their bagless stick vacuums, but they are not well known for bagless canisters. Well, they did make one – the Shark Rotator Powered Lift-Away NR96 and it is still on the market today. It also gets very good ratings and reviews from owners. It has the ever popular “Lift-Away” feature and has a cleaner head with a motor driven brushroll (an important feature for good carpet cleaning). The NR 96has strong suction, a low profile nozzle, a retractable power cord, and a low profile nozzle. It is also a fairly compact machine which has its pros and cons. It is fairly light and maneuverable but the cleaner head is small (which means more passes to clean a given area) and the dust canister is not very large. See more in our Shark NR96 review. This is one powerful machine. It produces a staggering 275 air watts of suction and is more powerful than even the daunting Dyson DC65 upright or the newer Dyson Cinetic Big Ball. It is also a futuristic looking vacuum and quite a few folks find it rather stylish. In our opinion it does look pretty cool. The brushroll in the cleaner head is not motor driven (it is driven by suction) however Dyson provides the ability to turn the brusholl ON and OFF which is something you don’t often see with suction driven brushrolls. 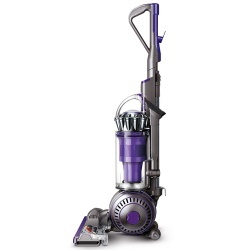 For additional information read our Dyson DC39 Animal review. 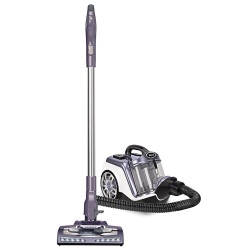 This is a small, lightweight vacuum (under 10 lbs) that is best on hard surfaces. It is short on features but does what it is designed to do – clean bare floors – quite well. The 1161 carries a 2-year warranty. For additional information read our Bissell 1161 review review. 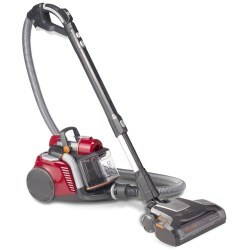 At $50-60 this is by far the least expensive bagless vacuum cleaner in the list. It is quite lightweight and, like the 1161 Hard Floor Expert, is best for hard surfaces. It only has a 1-year warranty which is not surprising at this low price point. For additional information read our Bissell Zing 10M2 review. Electrolux has made some good vacuum cleaners in the past but they've also made some substandard models. Fortunately the UltraFlex EL4335A is one of the keepers. Owners like it and it is powerful, lightweight, and capable on both bare floors and carpet. It has HEPA filtration and also comes with a sealed system that ensures the air exiting the vacuum is properly filtered and very clean. For additional information read our Electrolux UltraFlex EL4335A review. Interested in bagged vacuum cleaners? Check out our Best Bagged Vacuum list. Do you have a favorite bagless vacuum that is not listed here? Let us know in the comments section below! Wow - Shark and Dyson seem to be the bagless vacuums to get. I am a little confused as to which ones to get. Could you write some Shark vs Dyson articles? That would really help. Love my Shark! I started buying Shark vacuums about 5 years ago and have never looked back. They are light and easy to use and not too expensive. Much better than the older vacuums I had. Olderis supposed to be better but not always I guess. The Dyson is too expensive for what you get. Had one and it broke. Used to always get Hoover but they aren't what they used to be. Maybe a 50 year old hoover is a good idea! We've had our Dyson Animal for about 8 years. It's only been the last year that the belt and some metal rings have gone out. We have three cats, two long haired, and one 9 year old daughter. You HAVE to empty the canister often to keep it running correctly. You also have to wash the filter frequently, at least once a month. I throw it in the washer and let it air dry. You can tell by looking at it if its too dirty. Also you should watch a You Tube video to see how to take it apart and clean out the Cyclones at least once or twice a year. The owners manual is worse than useless. Believe me it's not an easy machine to keep clean....the Cyclones I mean. All that being said its a great vacuum and well worth the price. You will not believe how much dirt it gets out of your carpet or how soft even cheap apartment carpet will feel after using it. We live close to DE which has no sales tax. I did my research, took a 20% off coupon to Bed, Bath, and Beyond and saved about $125. I was overjoyed when I got my Dyson Animal vacuum. The power head died within two months and during that two months it did work, it was the worst vacuum I ever owned. It went to Goodwill and I went to the Shark Navigator. Shark is okay but I am having issues with the uprights with their inability to get under cabinets and along the edge of the wall. I am more of a canister person and am definitely having an issue finding a bagless canister vacuum that has a decent floor attachment. Just bought a Hoover Pet Rewind and I am beyond disappointed. Loud, stiff short hose, weird tools, rotor brushes that spin regardless of setting. Can\'t believe Hoover turned out such a poor piece of equipment---it is almost identical to the cheap Bissell I just sent to Goodwill. Hi. I am a frequent vacuumer, several times weekly. The Dyson did a good job at getting the dirt and fur/hair. However, very heavy to move, and had lots and lots of issues. Several times parts replaced by manufacturer, which was great, but inconvenient to be without a functioning vac for a week. Many times had to \"operate\" on the spin brush. This last time, the motor completely stopped in the middle of vacuuming a bare floor surface. 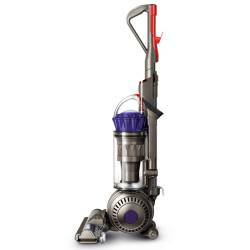 I\'ve had enough and will not buy another Dyson again. Going to try a less expensive brand since they all seem to have issues and need replacing every 2-4 years...might as well not spend a fortune. I love to vacuum and have had hoovers mostly. Even had a kirby. I am not happy with any of them.I am getting ready to try the dyson. I hate to spend that much but I am willing to try it. I am having problems going from carpet to tile floors. I also want a few attachments. I have the Hoover Elite Cyclonic Canister. I love it. I got the insurance and glad I did. But I have not found another canister vacuum that is as good and I like the foam filter because I can wash it. Loved my dyson for years until it quit on me, suction just stopped! Not sure I will get another one, but still undecided. I did have a couple problems in the beginning. My hose came apart and had to be taped as did cord. No light & hard to get under things. But was awesome at picking up dirt! Guess that\'s the most important thing?? We have 98 guests online.